World Sickle Cell Awareness Day was June 19th, which got me to thinking about the connection it might have with TMD. On June 19th the health community took a stand to increase public knowledge and raise awareness of Sickle Cell Disease (SCD) and the struggles sufferers and their families go through. So, with Sickle Cell Day fresh in our minds, let’s take a look at TMD and how that might hinder a person’s health when suffering from Sickle Cell. Sickle cell disease is a congenital blood disorder. The abnormal hemoglobin causes microinfarcts that lead to multi-organ alterations, including dental involvement. The entire oral and maxillofacial region may be involved, affecting the teeth, multiple oral structures, and maxillofacial bones. SCD patients are commonly affected by bone and joint complications, including the temporomandibular joint (TMJ). Patients complaining of chronic pain can often experience pain in the orofacial region, especially in the area of the TMJ. With complications in chewing and talking, sickle cell can often be exhibited for those suffering from TMD. For this reason it is important to undergo a series of testing for your patients to determine if the cause of pain is purely sickle cell disease, or if it can be treated due to it being TMD. Oral appliance therapy is an extremely helpful and successful technique in treating TMD. These devices are extremely popular among TMD patients due to the simplicity and comfort of the appliance. People describe the appliance as being similar to a retainer for orthodontic treatments, which helps patients feel more comfortable with treatment. These appliances are made to fit a patient’s mouth and their mouth only. By utilizing this as a treatment option for TMD, we hope that this, too, will help in finding relief for some cases of sickle cell disease. And, while studies continue to be conducted on this area, it is important to pay close attention to your patients’ symptoms. Each June is celebrated as men’s health month. And, while June is flying by, we can continue to raise awareness for men’s health throughout the year, too. Celebrated across the country, Men’s Health Month provides screenings, health fairs, media appearances, and other health education and outreach activities. Why? To help raise awareness for men and their health conditions. Obstructive Sleep Apnea (OSA) is caused by obstructed breathing, either due to too much tissue as seen in obesity or decreased muscle tone which may be seen with low testosterone. This inhibits the airflow in the mouth and nose which causes snoring and decreased ability for adequate oxygenation during sleep. As a result, men often wake up numerous times during the night and rarely achieve deep sleep. 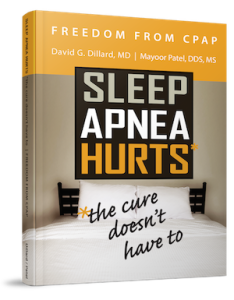 Central Sleep Apnea (CSA) is a central nervous system disorder in which the brain signal for breathing is delayed. It is often caused by injury or disease affecting the brain stem. However, most cases of sleep apnea caused by low testosterone is considered to be OSA. Additionally, OSA may primarily be considered a “man’s disease”, but it poses serious and even life-threatening health risks for women who suffer from it, too. According to research, men with sleep apnea appear to have a higher risk of depression. Men with undiagnosed sleep apnea had more than double the risk of depression compared to those without sleep apnea, said study researcher Carol Lang at the University of Adelaide in Australia. And, according to Lang, men who had both undiagnosed, severe sleep apnea and excessive daytime sleepiness, had an even greater risk of depression. It was shown that their risk of depression was up to five times greater than normal. With that being said, it is key that we provide the services necessary for providing men with the diagnosis and treatment they need to overcome sleep apnea. The purpose of Men’s Health Month is to heighten the awareness of preventable health problems while encouraging early detection and treatment of disease among men and boys. This month, and every month after, we should be providing our patients with the resources they need to make educated decisions about their health, which means proper screening for sleep apnea. By catching sleep apnea early, and providing proper treatment options, we can continue to provide our patients with the care they need to remain healthy while also getting the rest they need or have been missing out on for so long.